An order confirmation printer system from ICC is available to confirm what item is in what packaging along with any special order items and the detail in that order. 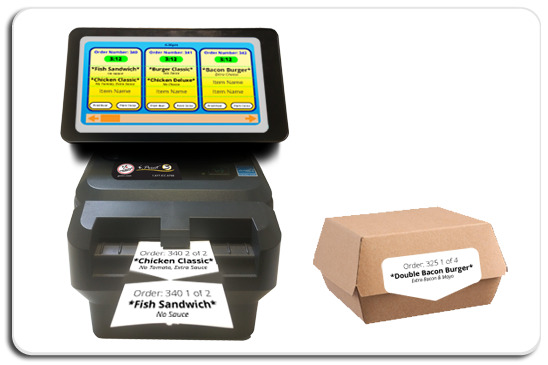 A tablet mounted to the printer can replace or be used in conjunction with current POS system screens. It can take on any format to best integrate into the kitchen. Quick Serve Restaurant industry estimates report in excess of 10 percent* order handling errors in an atmosphere where customers expect speed and accuracy for their loyalty. The focus of the tablet is to clearly identify items to specific orders and the special requests per item. Once an item is in final wrap, the team member has the option to select/print the item or the entire order. Depending on what option is pressed, either a single label with the item from the order or the full order on segregated labels and optionally an order summary label for the bag will be printed. The printer will segregate each linerless label but keep a little section between each label attached so that items are not lost and labels are easy to manage. 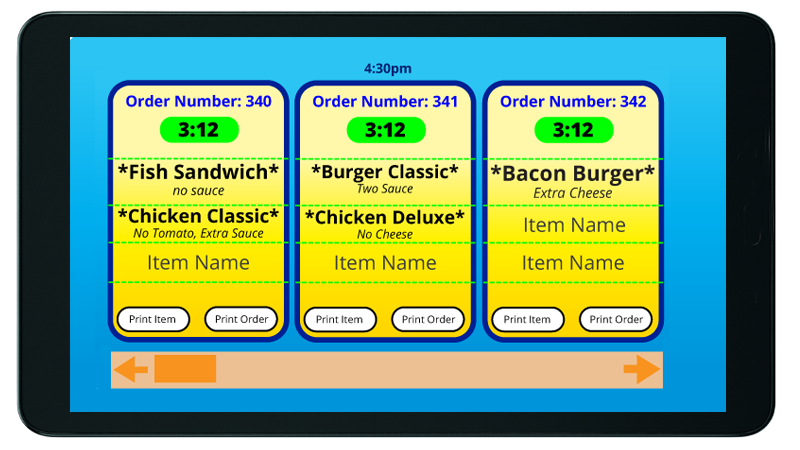 This order confirmation system can also be used as an automated product leveling system. The system informs the back of house what to cook throughout the day based on historical sales data. ICC extracts important data like speed of service, product usage, and generate a raw product mix and pushes data back to the cloud. Add-ons and enhancements to this system include Product Management, Food Safety Date Coding, Hot and Cold Temperature Monitoring and HACCP Compliance. i.Print™ is versatile and cost effective. Use universal packaging for your products and print individual label for all your products. 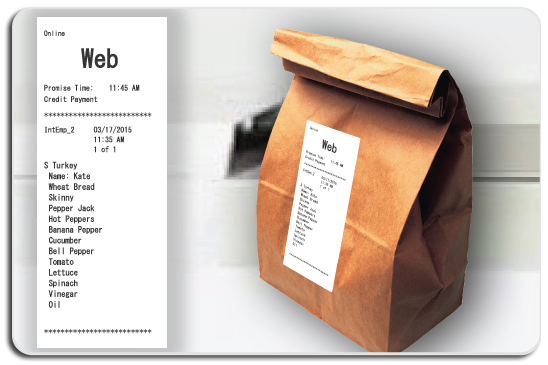 Be able to serve demands in a cost effective way with Order Confirmation Labels. Increase sales and Efficiency at a low price point. Ready to take your ordering to the next level?